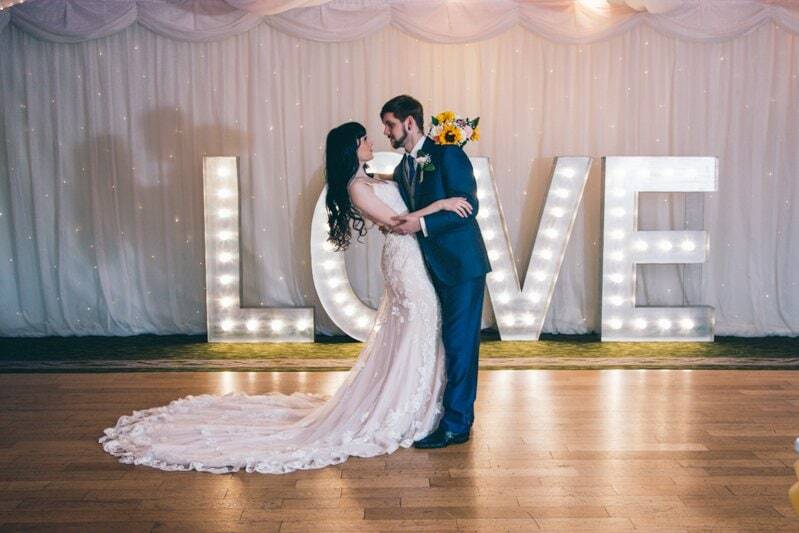 In this ‘Inspire your wedding’ feature I wanted to share with you an alternative autumn colour palette. Autumn is such a beautiful time of year with all the changing colours on the trees along with the evening sunsets. 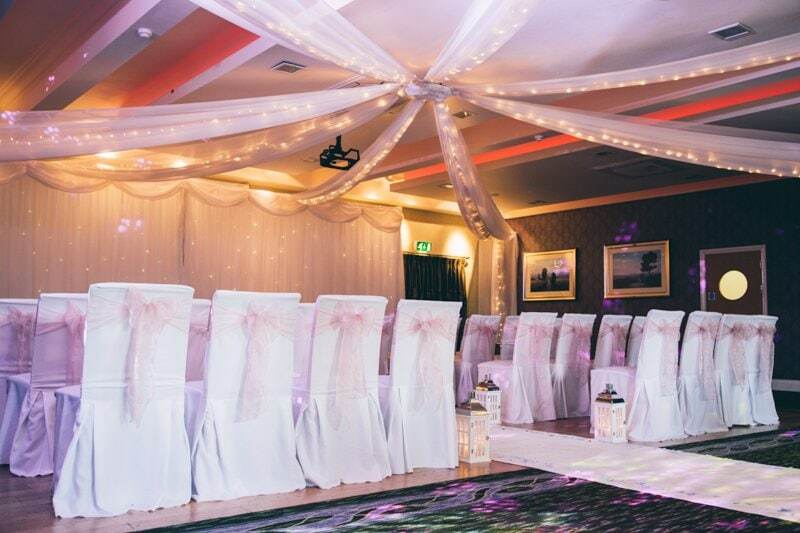 Many weddings feature the traditional autumnal shades of berry, orange and browns, but if you want to be different then these soft colours are perfect. They are feminine, rustic and romantic in feeling. The light greys, soft pink tones are warming and cosy but bright and light. Dress style: This is a beautifully soft and romantic look. For your dress go for a feminine silhouette. 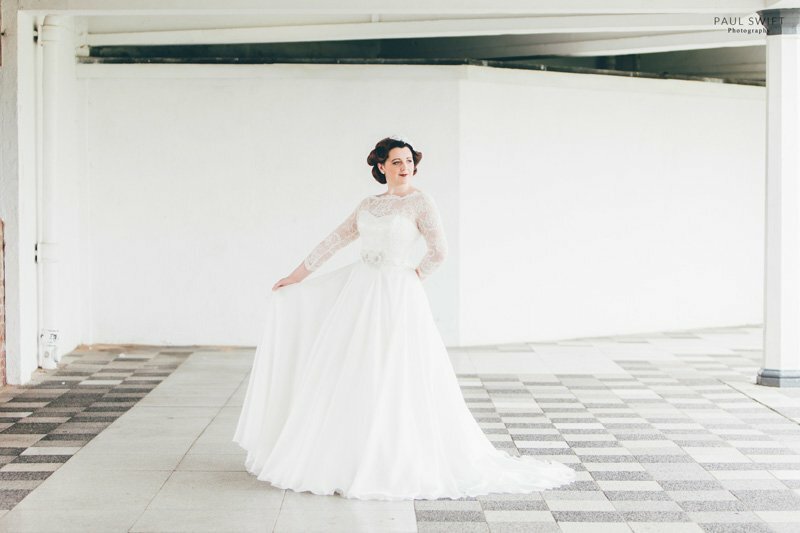 For this shoot, the dress is Alexandra by Sassy Holford. The romantic look of this dress features fine corded lace with a beaded edge. 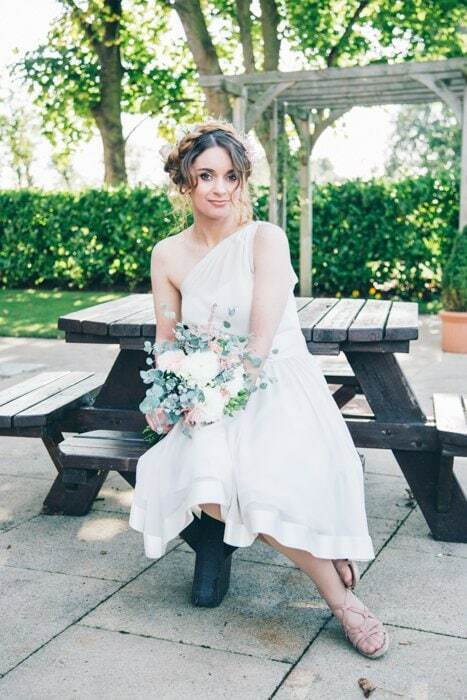 A satin organza overlay to dupion silk and a gorgeous soft-ruched sash made from slipper satin with bow and long tails at the back. 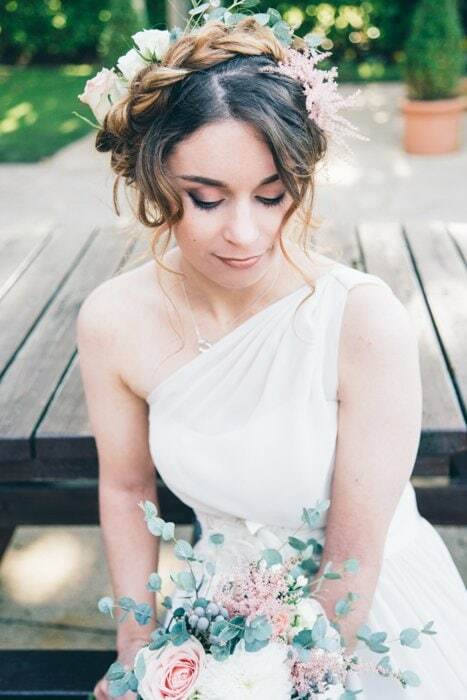 For bridesmaids, choose light grey or taupe dresses and don’t be afraid to add floral head accessories. 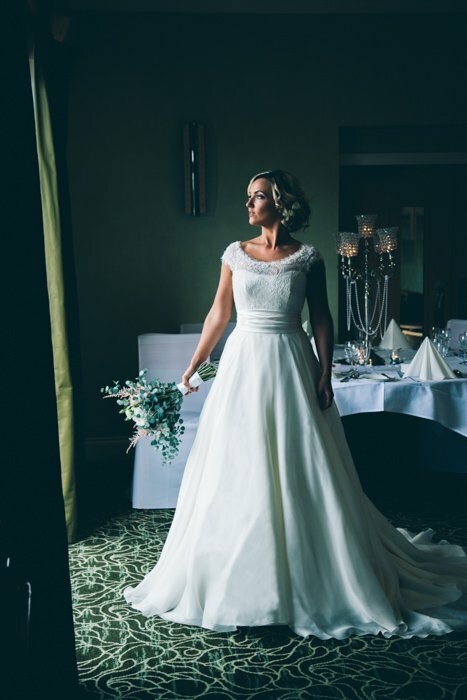 The dress here is by Wtoo brides and is the perfect accompaniment to the brides dress. 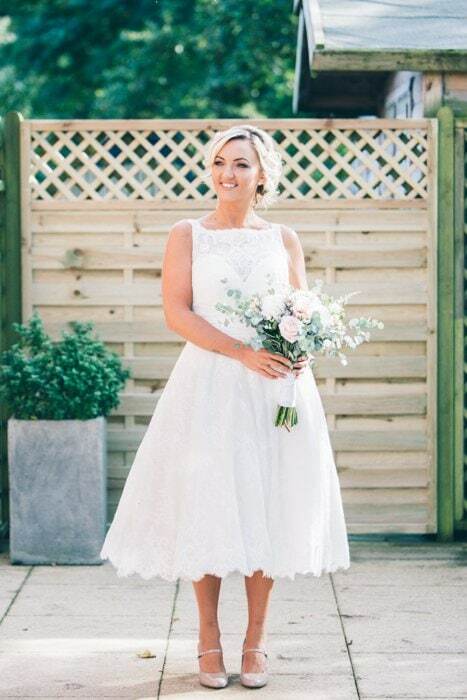 For a different look try a tea length dress like this chic little number from Rita Mae Bridal. 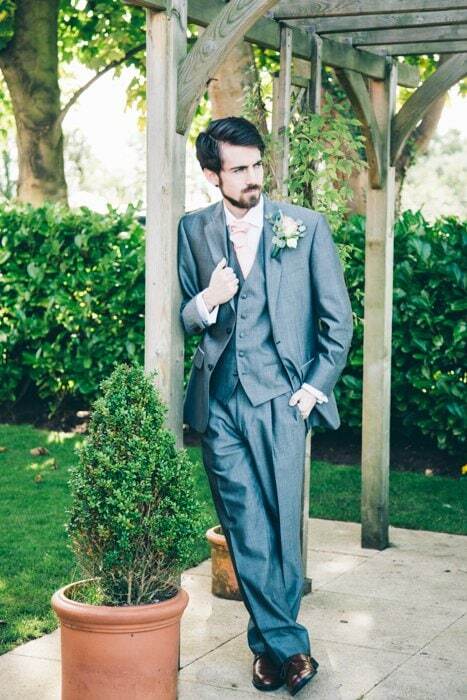 Choose a light grey suit with a soft pink tie or cravat. This rather nice suit is by Peter Posh. 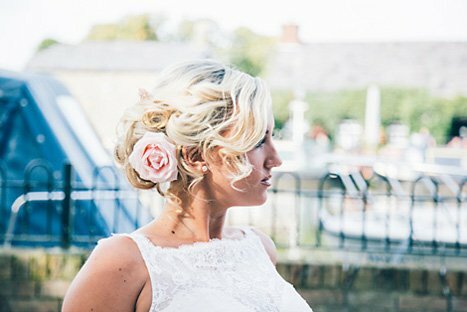 For hair and beauty choose a relaxed up-do with floral accessories and soft romantic girly make up. Sweet avalanche rose, Kenya rose and Spray roses accompanied by Eucalyptus, Silver Brunei, Astilbe, White Bloom and Bouvardi. 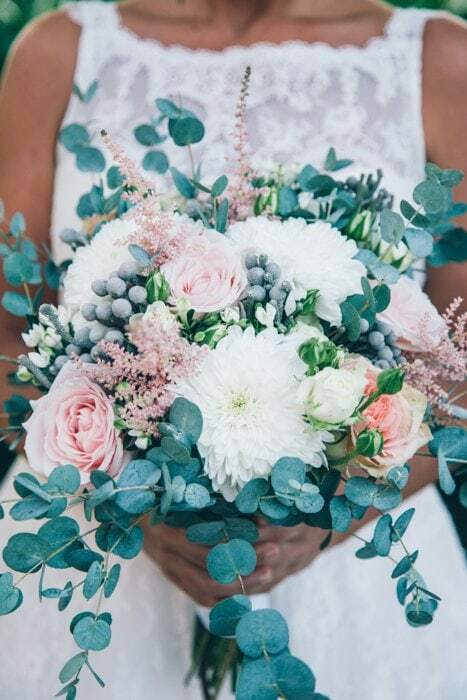 All of these wonderful flowers combined make a stunning bouquet. Use smaller combinations of these around the tables for an elegant finish. 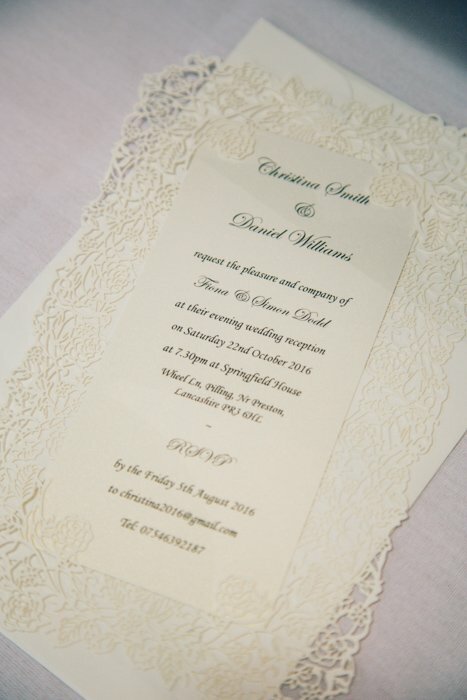 Create an elegant rustic feel for your stationery by using off white paper with calligraphy, soft grey embossed paper would look stunning too, all decorated with pink florals and ribbon. 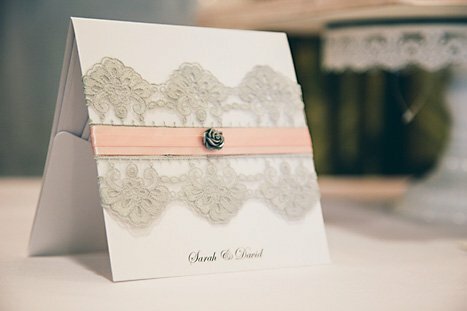 For a really unique look use vintage postal stamps as decoration on your envelopes. 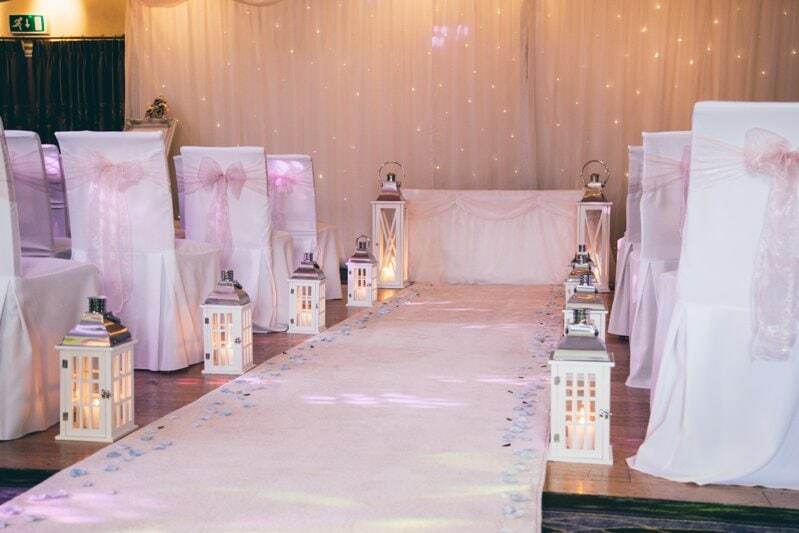 You can keep it simple with your decor and go for tables covered with a soft white cloth and decorated candle holders on each, an elegant look and easy to do. A white lace and burlap table runner would look stunning for this too. 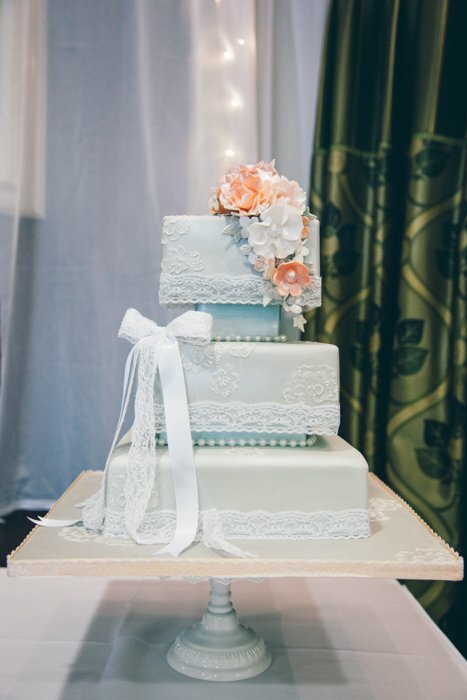 For your cake choose soft grey icing paired with a white velvet bow, iced floral decorations and some of your lovely fresh flowers to one side.